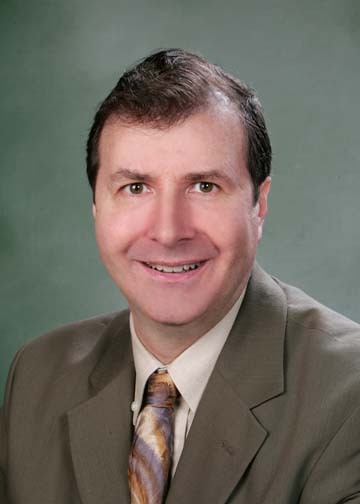 A well known and highly respected Chicago attorney, Paul L. Feinstein has practiced matrimonial and appellate law since 1980, having obtained his JD degree from Emory University (a "Top 20" Law School) in Atlanta, Georgia. His undergraduate degree was a BA at Tulane University. He became a fellow of the prestigious American Academy of Matrimonial Lawyers in 1991. He belongs to the Family Law Sections of the American, Illinois, and Georgia bar associations. He was admitted to the Appellate Lawyers Association in 2010. He is licensed to practice in Illinois and Georgia, as well as the United States Supreme Court. He has written about numerous matrimonial law subjects and is currently on the board of editors of the Matrimonial Strategist, a national publication. He has also lectured before several groups on many family law topics. He devotes a great deal of his practice to appellate and constitutional law and in 1993 was successful in overturning Illinois' automatic asset freeze law in the Supreme Court of Illinois. In 2004, he was successful in having the Supreme Court of Illinois declare the Illinois Child Representative Statute unconstitutional. He returned to the Supreme Court of Illinois in 2012 and was again successful, this time overturning an Appellate Court ruling concerning the definition of income for purposes of child support cases. He handles all litigation aspects of family law issues, including divorce, custody, domestic violence, premarital agreements, and parentage. He also is often called upon to consult in cases which may be going to trial. While he practices primarily in Chicago, he has handled matters throughout Illinois. He has received Martindale-Hubbell Law Directory's highest attorney rating, "AV." Many of his cases involve complex procedural and substantive matters, and involve high-profile people. He routinely fields many calls from lawyers, who request his opinion on legal matters of first impression, and those who simply wish to know "what the law is" on a particular issue. Legislators and bar associations consult with Mr. Feinstein to obtain his opinions concerning proposed legislation. He is also court-approved to be appointed as child representative, guardian ad litem and attorney for children in contested custody, removal and visitation disputes. He is also court-approved and trained to serve as a mediator in family law cases. Paul is also trained in Collaborative Divorce. 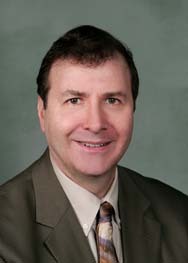 Paul L. Feinstein has practiced matrimonial and appellate law since 1980, having obtained his JD degree from Emory University (a "Top 20" Law School) in Atlanta, Georgia. Paul L. Feinstein has substantial appellate experience in the field of matrimonial law, having been involved in the following published cases: Messenger v. Edgar, 157 Ill.2d 162, 623 N.E.2d 310; In Re Marriage of Mostow, 95 Ill.App.3d 917, 420 N.E.2d 731; In Re Marriage of Rayfield, 221 Ill.App.3d 763, 583 N.E.2d 23; In Re Custody of Rose, 281 Ill.App.3d 423, 666 N.E.2d 1228; In Re Marriage of James, 259 Ill.App.3d 29, 630 N.E.2d 948; McNellis v. O'Connor, 266 Ill.App.3d 1063, 640 N.E. 2d 1354; In Re Marriage of Tyler, 230 Ill. App.3d 1009, 596 N.E.2d 119; Blair v. Mackoff, 284 Ill.App.3d 836, 672 N.E.2d 895; In Re Marriage of Yelton, 286 Ill.App.3d 436, 676 N.E.2d 993; In Re Marriage of Walker, 287 Ill.App.3d 634, 678 N.E.2d 705; Kaufman, Litwin & Feinstein v. Edgar, 301 Ill.App.3d 826, 704 N.E.2d 756; In Re Stella, 339 Ill. App.3d 610, 791 N.E.2d 187; In Re Marriage of Epsteen, 339 Ill. App.3d 586, 791 N.E.2d 175; In Re Marriage of Bates, 342 Ill. App.3d 207, 794 N.E.2d 868; affirmed, 212 Ill.2d 489, 819 N.E.2d 714; In Re Marriage of Johnson, 351 Ill. App.3d 88, 812 N.E.2d 661; In Re Marriage of Best, 228 Ill.2d 107, 886 N.E.2d 939 (Amicus Brief for American Academy of Matrimonial Lawyers); In Re Marriage of Thompson, 384 III. App.3d 1, 891 N.E.2d 941; In Re Marriage of Sanfratello, 393 Ill. App.3d 641, 913 N.E.2d 1077; Minch v. George, 395 Ill.App.3d 390, 917 N.E.2d 1169; In Re Marriage of Mather, 408 Ill.App.3d 853, 946 N.E.2d 529; In Re Marriage of O'Brien, 2011 IL 109039, 958 N.E.2d 647 (Amicus Brief for American Academy of Matrimonial Lawyers); Johnston v. Weil, 241 Ill.2d 169, 946 N.E.2d 329 (Amicus Brief for American Academy of Matrimonial Lawyers); In Re Marriage of Baniak, 2011 IL App (1st) 092017, 957 N.E.2d 469; In Re Marriage of Johnson, 2011 IL App (1st) 102826, 963 N.E.2d 1045; In Re Marriage of McGrath, 2011 IL App (1st) 102119, 954 N.E.2d 842; reversed, 2012 IL 112792, 970 N.E.2d 12; In Re Marriage of Epting, 2012 IL App (1st) 113727; In Re Marriage of Vondra, 2013 IL App (1st) 123025; In Re Marriage of Earlywine, 2013 IL 114779 (Individual Amicus Brief); In re Marriage of Eckersall, 2015 IL 117922 (Amicus Brief for American Academy of Matrimonial Lawyers); In Re Marriage of Pasquesi, 2015 IL App (1st) 133926; In Re Marriage of Donnelly, 2015 IL App (1st) 142619; Berdex International, Inc. v. Milfico Prepared Foods, Inc., 258 Ill.App.3d 738, 630 N.E.2d 998. My father was a well known psychiatrist, my mother was a social worker and my brother was a pediatrician so I resolved when I went to law school to enter a field where I could help people going through hard times. Family law allows me to do that. Once I gained some experience I was also given the opportunity to handle a number of appeals and I developed a niche in that area. Many matrimonial lawyers are nervous about handling appeals so they bring me in to do those, as well as to consult with them before trial to maximize the client's chances on appeal. I was lucky enough to get a fabulous legal education at Emory University in Atlanta, a top ranked law school. I then got to work for, and with, some of the top matrimonial lawyers in the field before establishing my own practice. I have argued three matters before the Supreme Court of Illinois, including two constitutional cases. I have also filed a number of amicus briefs with that Court. When you hire me I do all the legal work. You don't get billed for multiple lawyers. And I believe I work as hard or harder than anyone else in the field. My hourly rates are very reasonable considering my 35 years of experience in family law. And I tell clients the truth, rather than what they want to hear. Not all family law practitioners will do that. When choosing a lawyer for your divorce case, it's important to pick one whose first priority is the client. Credentials aside, your lawyer's objectives should be to understand what's in your best interests, to be honest about what you can realistically expect, and to work efficiently towards the best possible outcome. Paul Feinstein, one of Illinois' most respected and successful lawyers, knows this. "I am result-oriented," Feinstein stresses. "Rather than let your ego control the way you run a case, you have to leave your ego at the door and think about the client." Since 1980, Feinstein has practiced family law. With an educational background in psychology and sociology, he strongly believes that a divorce lawyer must understand people and their priorities as well as law. "I have been told I am a good listener," he says. His late father, world-renowned child psychiatrist Sherman Feinstein, influenced his personal style. "My father could figure out what people needed and offer practical help," he remembers. "I tell people that, as impossible as it seems, they'll get through the process and develop strengths they never realized they had." But an attorney also has to adapt to the constantly evolving law. Feinstein not only stays up to date, he also changed the law himself when he overturned Illinois' automatic domestic-relations asset-freeze law in the state Supreme Court in 1993. Then in 2004, he was successful in having the Supreme Court of Illinois declare the Illinois Child Representative Statute unconstitutional. He returned to the Supreme Court of Illinois in 2012 and was again successful, this time overturning an Appellate Court ruling concerning the definition of income for purposes of child support cases. Feinstein's expertise is so widely respected that many matrimonial lawyers call him to solicit advice. Combining wide knowledge with deep concern for his clients' welfare, Feinstein achieves results by doing what needs to be done to win cases. "I've been known to come up with creative solutions," he adds. It's no wonder that Feinstein has a great reputation. He has been a Fellow of the American Academy of Matrimonial Lawyers since 1991 and was selected as a Leading American Attorney. He also was selected to join the Appellate Lawyers Association in 2010. He has published numerous articles on family law and been a speaker at the Chicago Bar Association's training programs; he has also spoken at Illinois Institute for Continuing Legal Education programs. Feinstein considers being result-oriented as one of his greatest strengths. "When you know you've done a great job and the client knows it, too that gives you a great feeling," he says.